Today marks the two-year anniversary of the Boston bombings. It is a day for both mourning and celebration. The tragedy took three lives and injured more than 200 individuals, but the attempts at breaking Boston were nothing shy of a failure. The horrific events worked to unite a city, state, and dare I say even our entire country. There are many lessons that we can take away from the tragedy of the Boston Marathon bombings. Boston showed us that together we can stand for something bigger than ourselves and create a strong and unbreakable front. It was inspiring the way spectators and fellow racers worked together to bring the injured to safety at the time of the bombings. Boston as a whole pulled together to prove that no matter how vast the differences between each of us are, we are united in our humanity. The collective cries of Boston Strong sang loudly throughout the world and continue to provide a mantra of strength and unification. The bombings also remind us how fragile life can be and that at any moment our lives can be altered forever. We have to live in the present with an attitude of gratitude for everything we have, while balancing our appreciation with the passion to grow and evolve. It is not easy to remain in a constant state of gratitude, but it is with these reminders that we are able to sit back and take stock of our lives. I am humbly working to develop greater self awareness and compassion as a way to enhance my life and the lives of those around me. 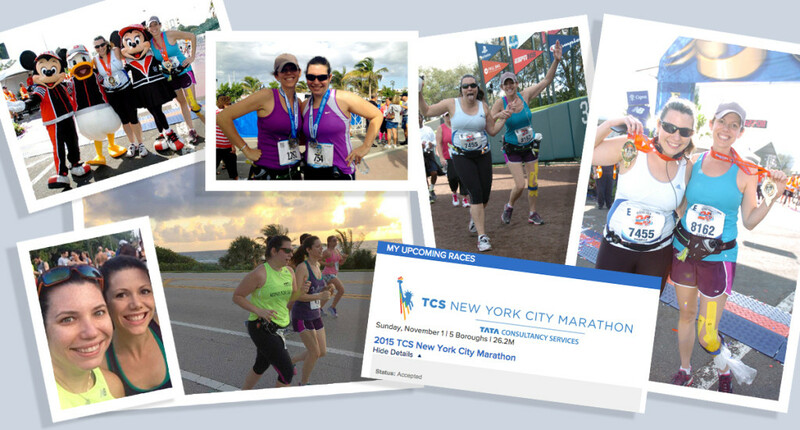 This year, in the spirit of growth, I will take on the exciting challenge of running the New York Marathon. It would have been cool to say I was running Boston, but qualifying for that race is not quite a reality at the present time. That said, with coincidental timing I received my invitation to the New York City Marathon and registered for the race this morning! I am excited to take on this feat with one of my favorite people in the whole world, she is pretty much my third sister (just not by birth), and has pushed me to new limits when it comes to running and seeing myself as capable to take on these new adventures. As an additional bonus, I am running the NYC Marathon as a member of an amazing team – Team SLE Lupus – to honor my actual biological sister who has been triumphing over Lupus for the past 22 years. I have a lot of fundraising and training to do, but if Boston has taught me anything it is that overcoming obstacles is the best way to build strength and character.